So, you've purchased a clarinet, for yourself, or for a child and you can't remember how it fits together? You've come to the right place! 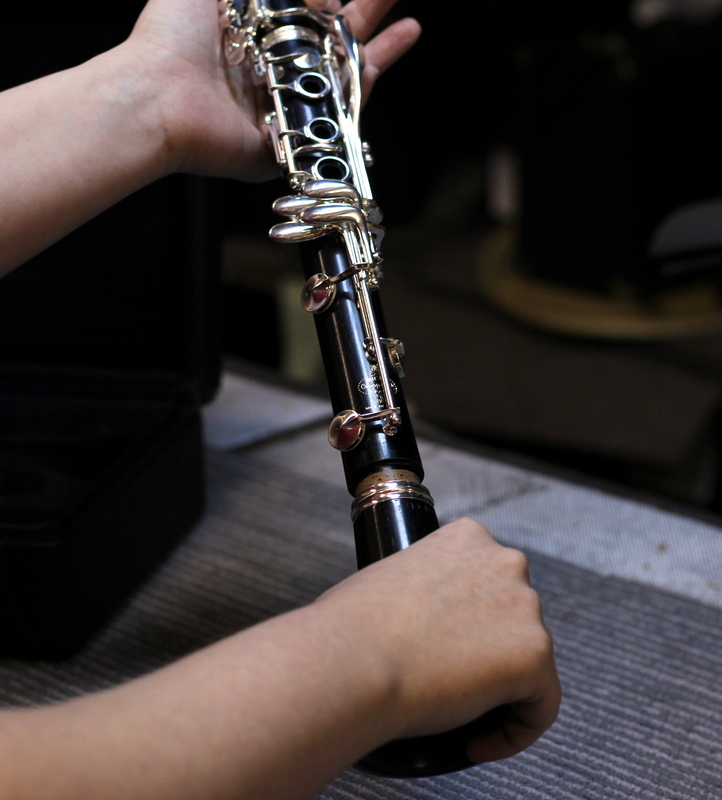 Here's a step by step guide to assembling your clarinet. 1. 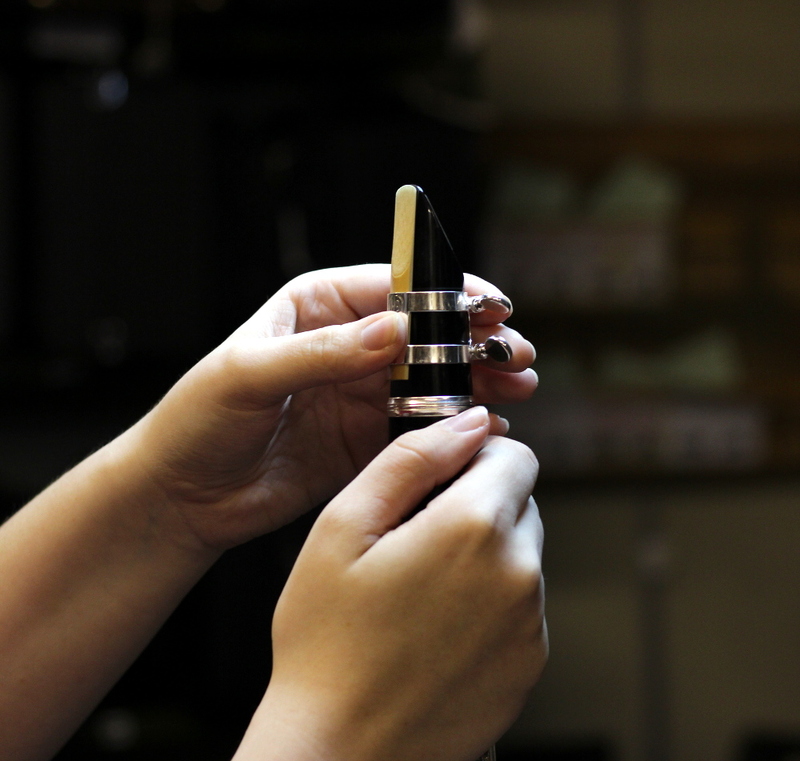 Before we assemble the clarinet, we need to apply a thin layer of cork grease to the cork of the clarinet joints. To do this, distribute the grease lightly onto the cork. 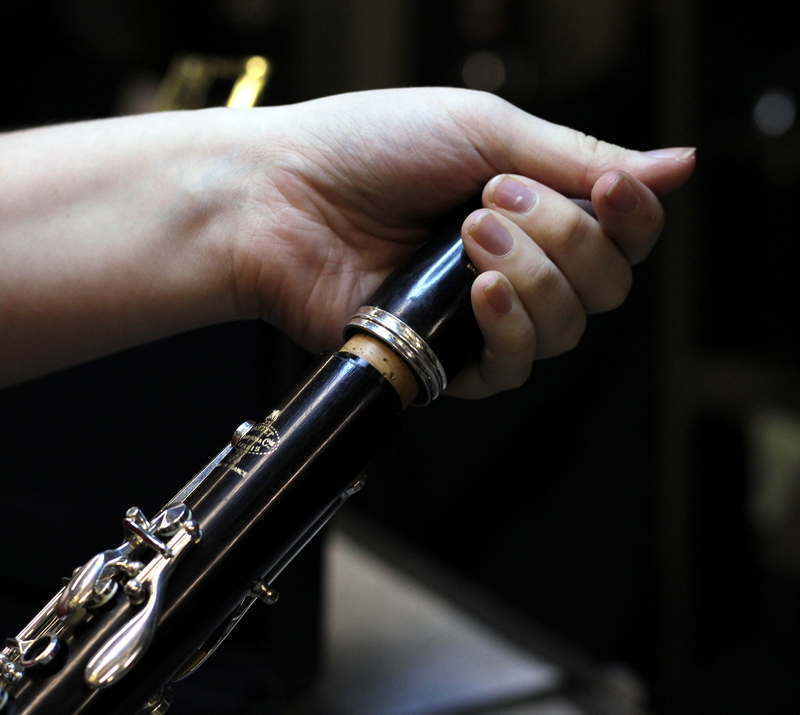 If your clarinet is new, you will need to apply a fair amount of grease to encourage the joints to smoothly ease together for the first time. 2. Once we have applied the cork grease, we need to gently rub it into the cork using our fingertips. Make sure the grease is distributed evenly across all of the cork to avoid clogging. 3. 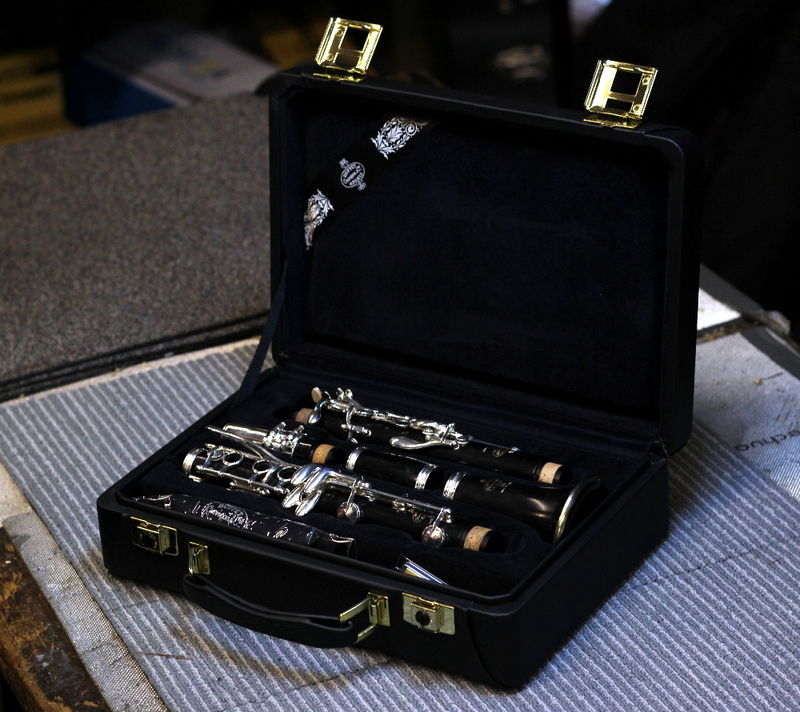 When putting together these joints, we need to be extremely careful and avoid holding the clarinet by it's keys. We need to twist the joints together gently. 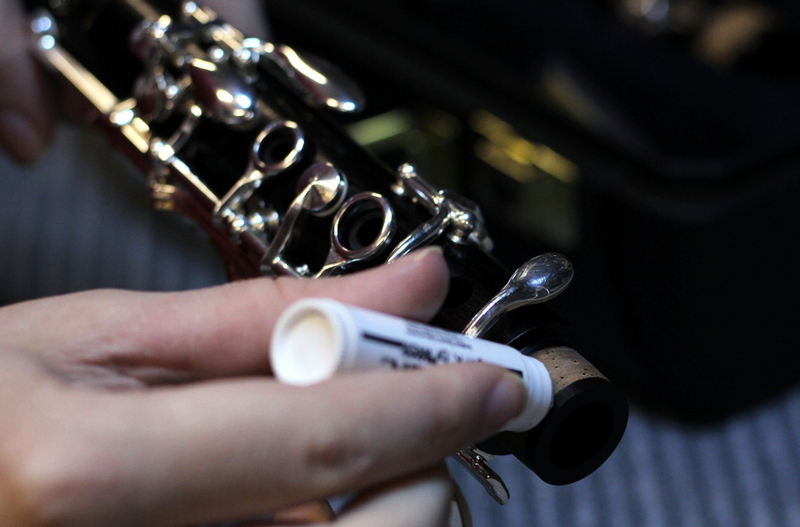 If you have to put a lot of pressure onto the clarinet and it does not move easily, you need to reapply some more grease. The joints should slide together easily. 4. By having my hand in this position, I know that there will be no damage to the key work when putting the joints together. 5. When lining up the joints, we need to be careful of the key work. This image shows the allignment which we're looking for when the joints are in the correct position. 6. 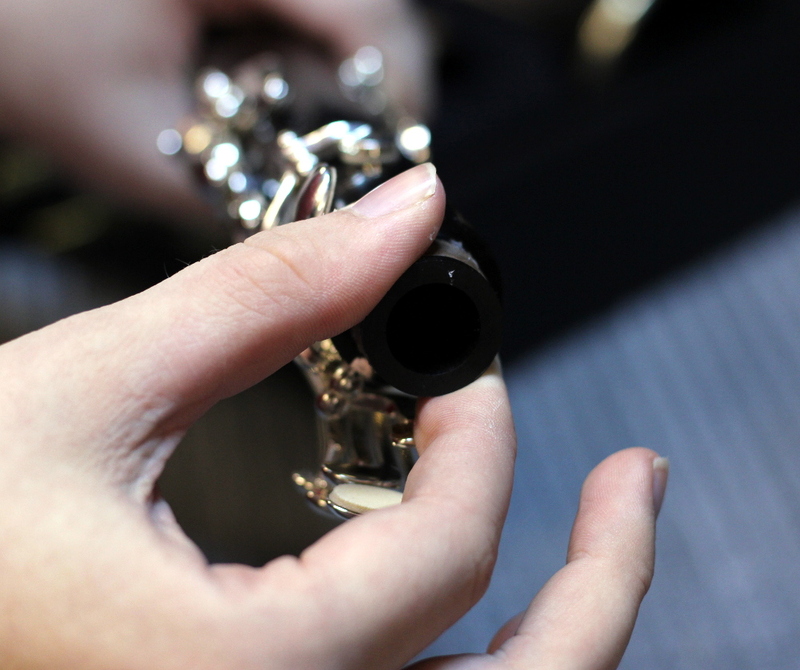 Again, when attaching the bell of the clarinet, we need to do so using a twisting motion and the bell will ease into place. 7. The bell is pushed on as far as it will go. This is what it will look like in it's finishing position. 8. The same system is used for attaching the barrel and the mouthpiece. Twist gently, until they are both all of the way in. 9. Now we have attached all of the body of the clarinet, it's time to put the reed in place. 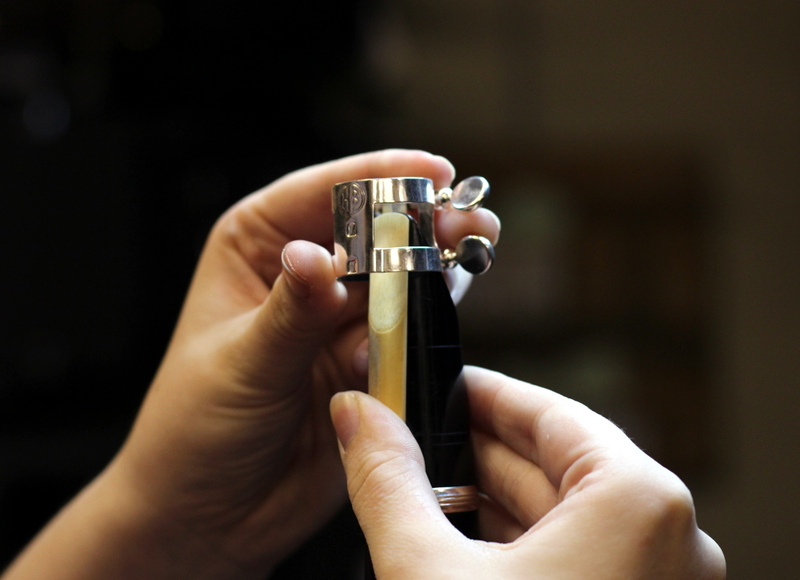 The mouthpiece is made so then the reed fits perfectly onto it. 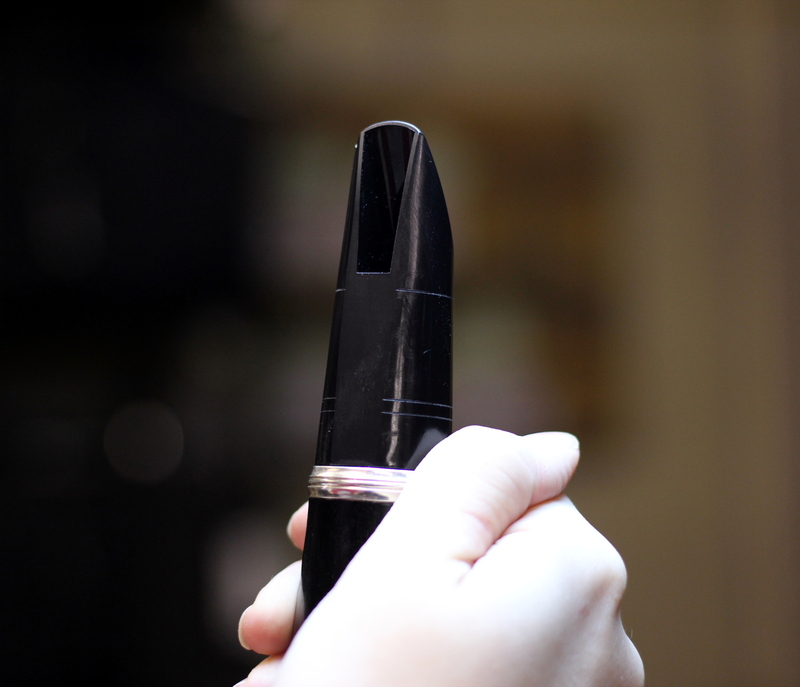 10.When we allign the reed to the mouthpiece, we want to avoid touching the tip of the reed, as it can easily be damaged. Adjust the angle of the reed through moving the bottom and middle of the reed. 11. This is the ligature. 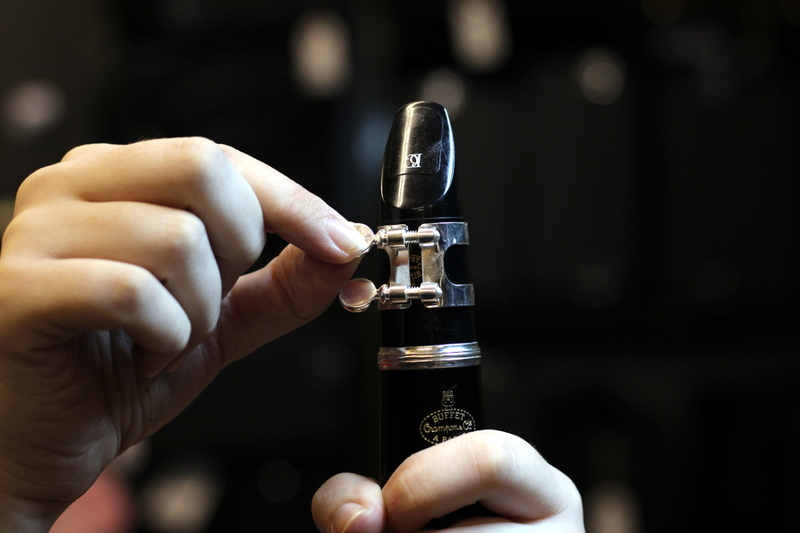 When attatched to the mouthpiece, the flat edge lies against the reed and screws align on the right hand side, when the clarinet is in the playing position. 12. 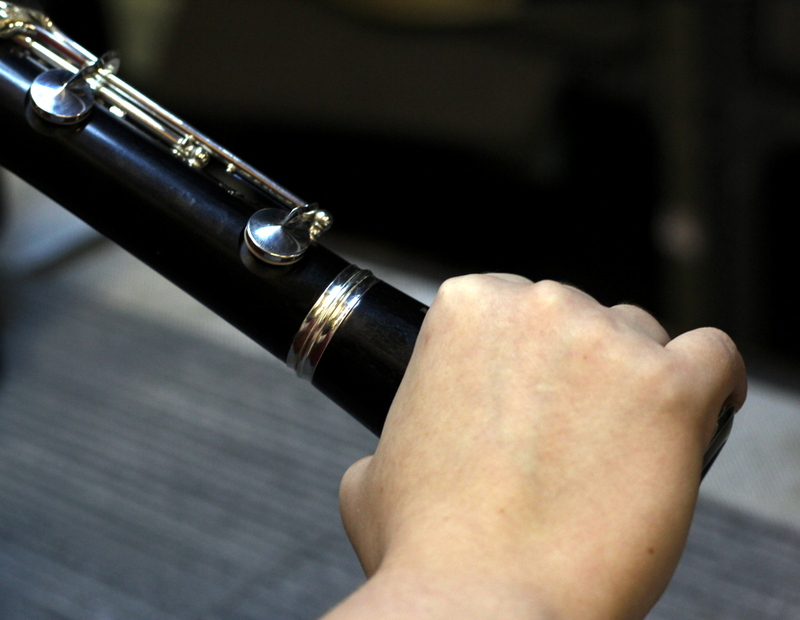 We want to keep the right hand thumb against bottom of the reed, to keep it in place whilst sliding the ligature over the top. 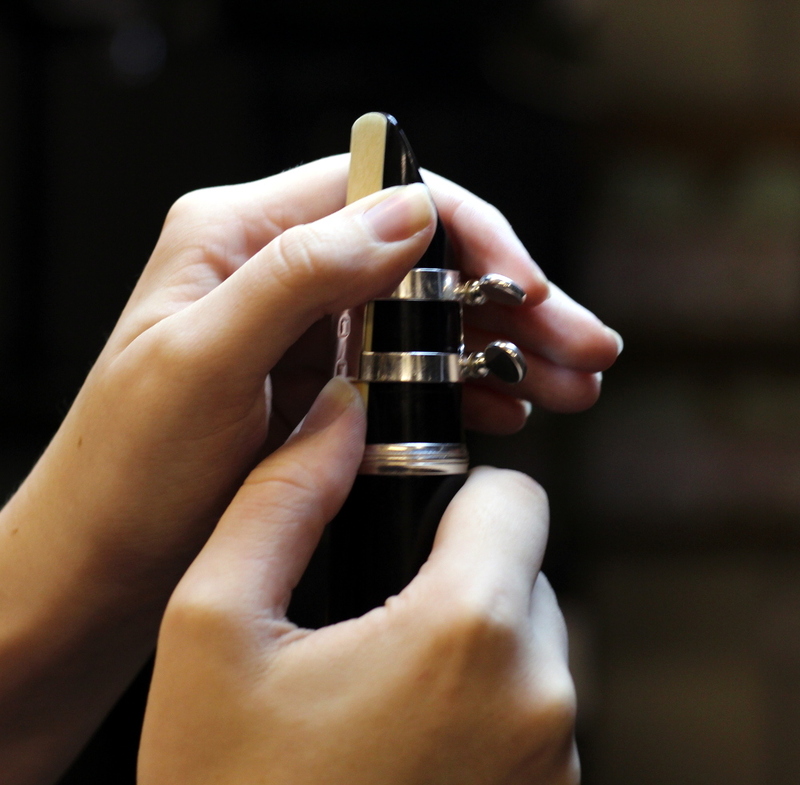 13.Once the ligature is holding the reed, we can adjust the angle, if needed. The reed needs to be straight and lined up correctly. 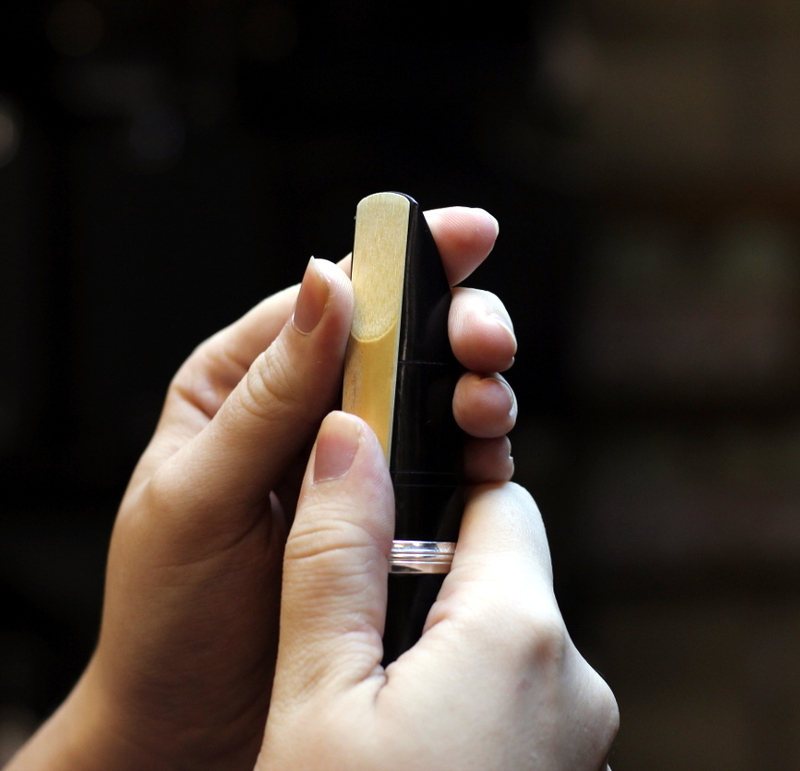 When lining the reed up, we want it to be straight and lined up with the top of the mouthpiece. 14. The ligature is now supporting the reed, so we can remove the righthand thumb from the bottom of the reed. 15. 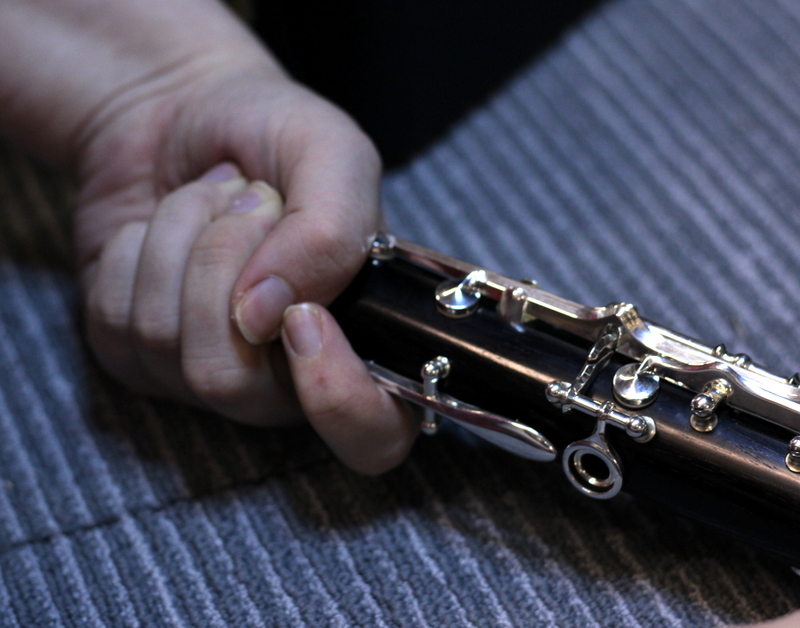 The job of the ligature is to secure the reed in place, so then it doesn't move around during playing. The screws want to be tightened a little bit, but not forced. One or two turns should do it. Now you're set up and ready to play. 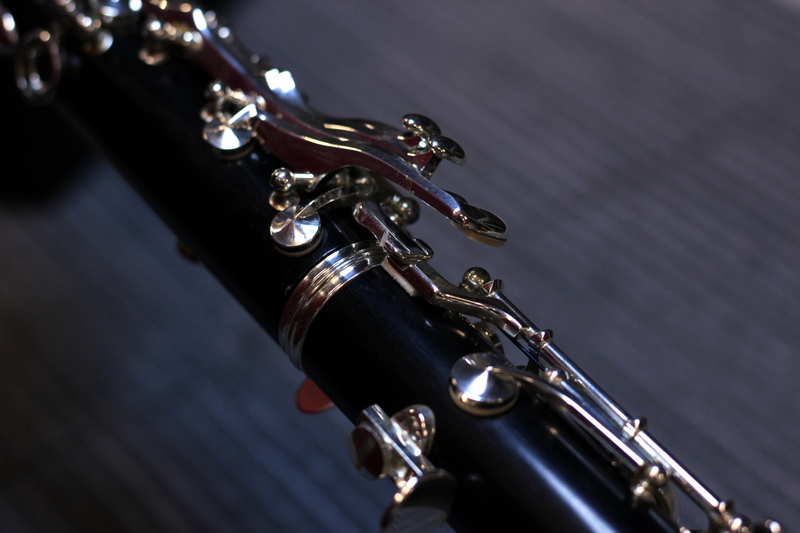 If your clarinet is a new, wooden instrument, it needs to be "played in". This consists of playing it for 5 minutes everyday for a week, moving up to 10 minutes for the second week, 15mins for the third week etc. Keep increasing by 5 minutes each week until you get to be easily playing for an hour and a half-two hours. The instrument will now be "played in" and able to reach it's full potential. 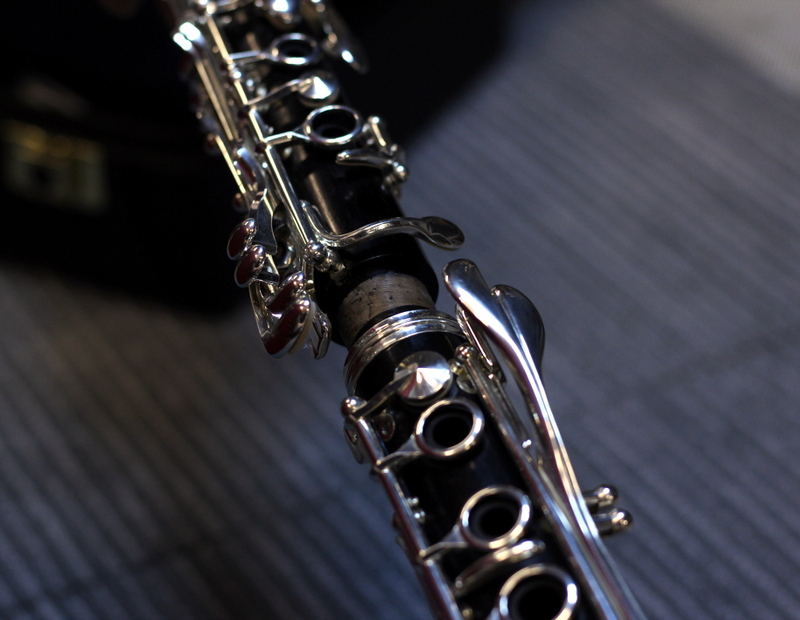 Remember, clarinets (and all instruments) are precisely made. 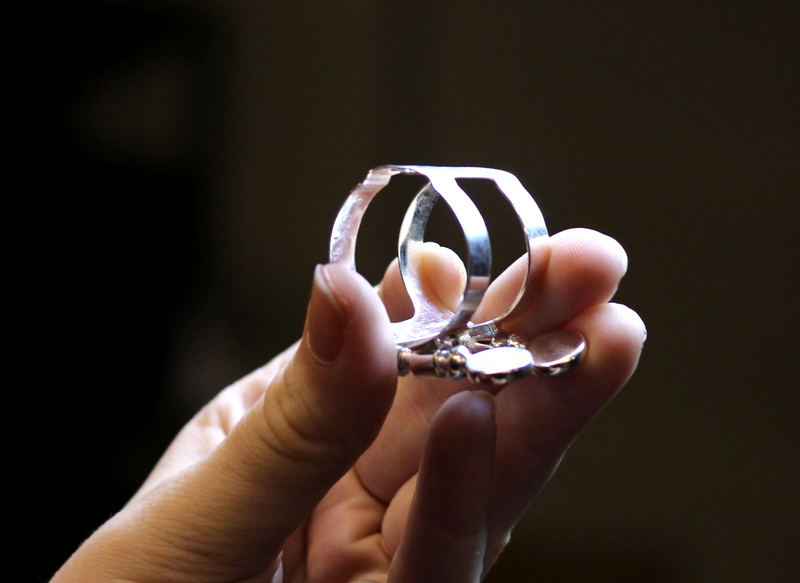 Never force any of the joints together and avoid pressing or twisting the keywork. If it doesn't seem to be fitting together; stop, take a deep breath, have a cup of tea (optional), put a little more cork grease on (steps 1-2 above) and have another try. If there still seems to be a problem, give us a call, drop us an email or pop in to the shop, we're always happy to help!